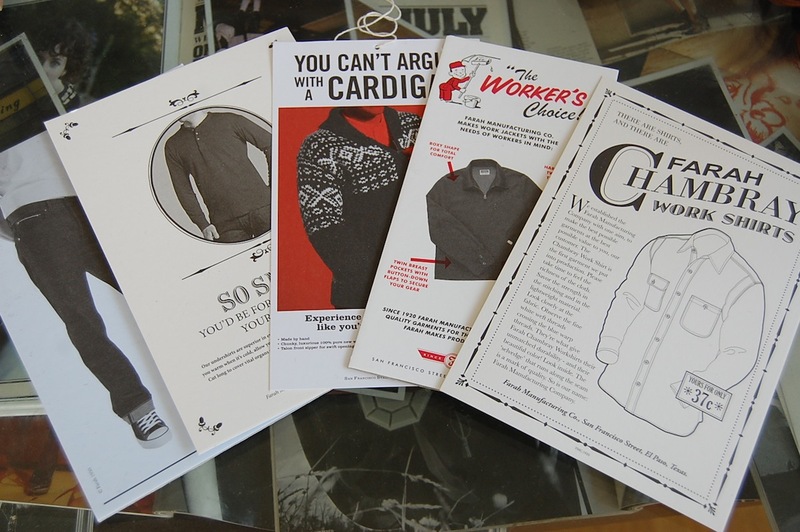 Clockwise from top left; Handknit traditional motif cardigan from 1950 (the piece I have my eye on), CPO Shirt from 1942 and classic oxford button down. 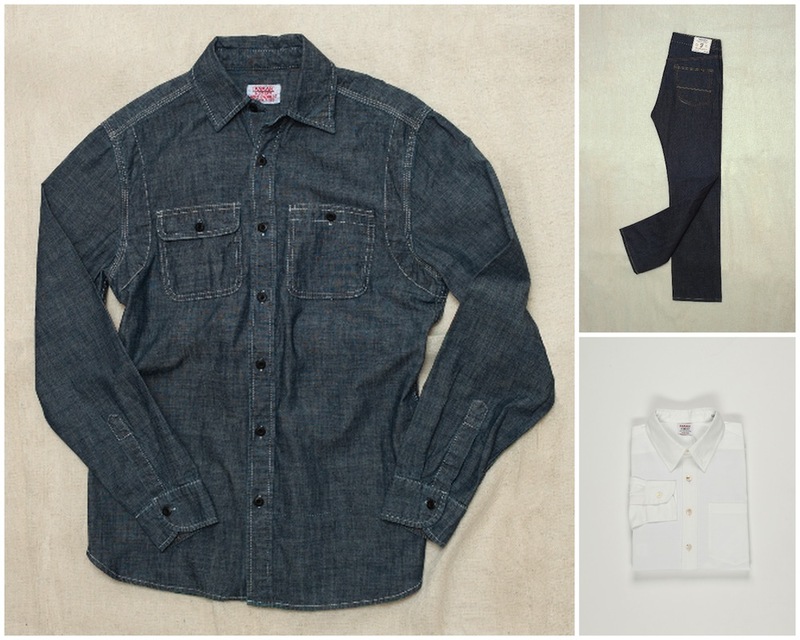 Clockwise from left; The original, the Chambray work shirt from 1920, White Oak selvage denim jeans from 1953 and classic oxford shirt. 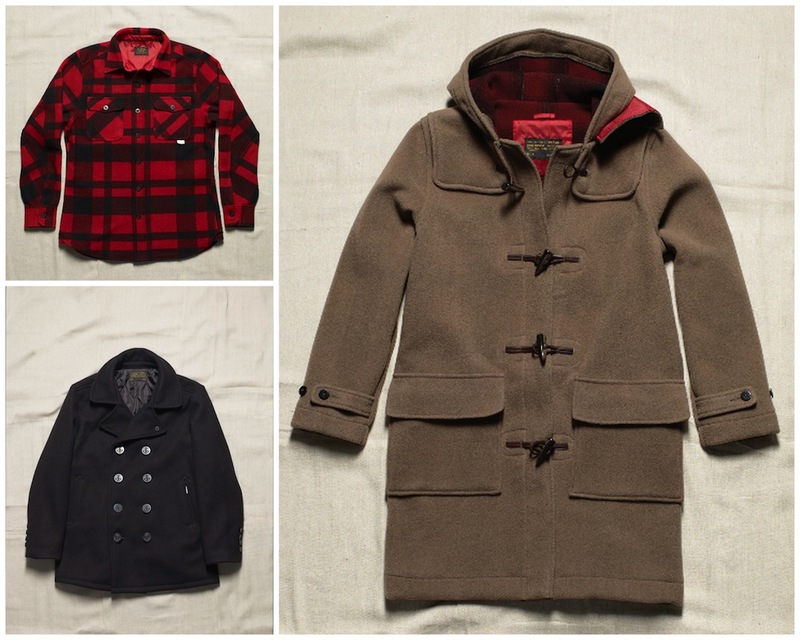 From clockwise top left; Workwear shirt, US Navy Duffle Coat and Peacoat, both from 1941. I just love how the materials and details are faithful to the original pieces. The resulting collection is an authentic testimonial to the admirable heritage of this iconic manufacturer. Meticulous detail has been applied to even the packaging and labeling of the garments. Original paper dyed labels go in 1920s chambray shirts, branded 'El Paso, Texas'. Army specification chinos and naval pea coats carry military department cotton labels marked with moel numbers used by American servicemen of the 1940. The famous and mod friendly button down shirts, slim cut twill trousers and polo shirts all bear flat sealed labels - signing off the collection. 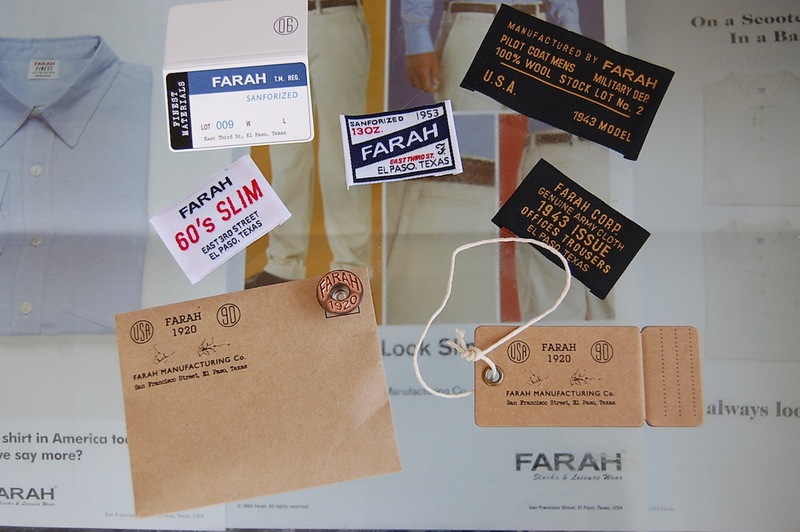 Each piece is key in the Farah archive, dating from the 1920s through to the 1960s. This is a capsule collection that fondly looks backwards but still is contemporary. and wearable today These vintage reproductions will be strictly limited to ninety of each design and should be available in stores from September. 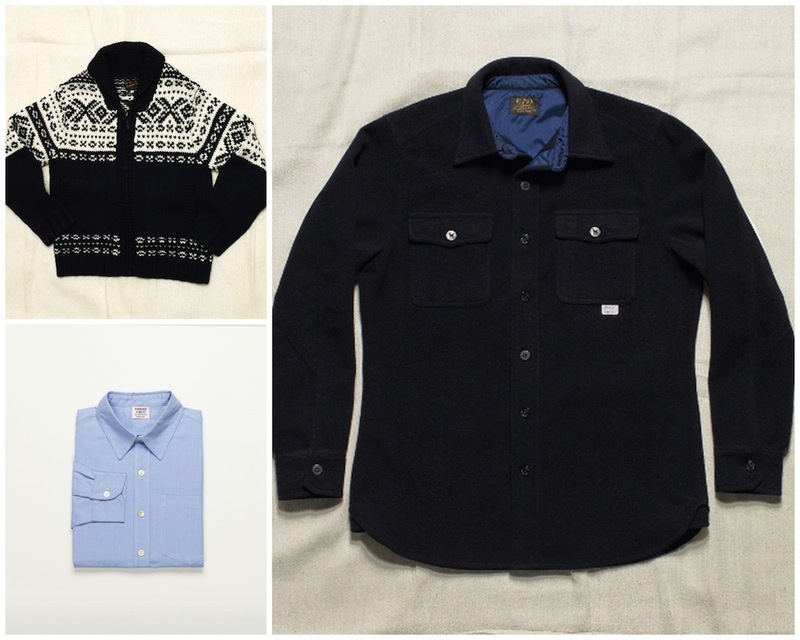 The Chambray work shirt is REALLY awsome ! i still associate the brand with darts players, couldn't tell you why mind. the archive looks great. This is proper heritage. The CPO shirt shall be obtained.